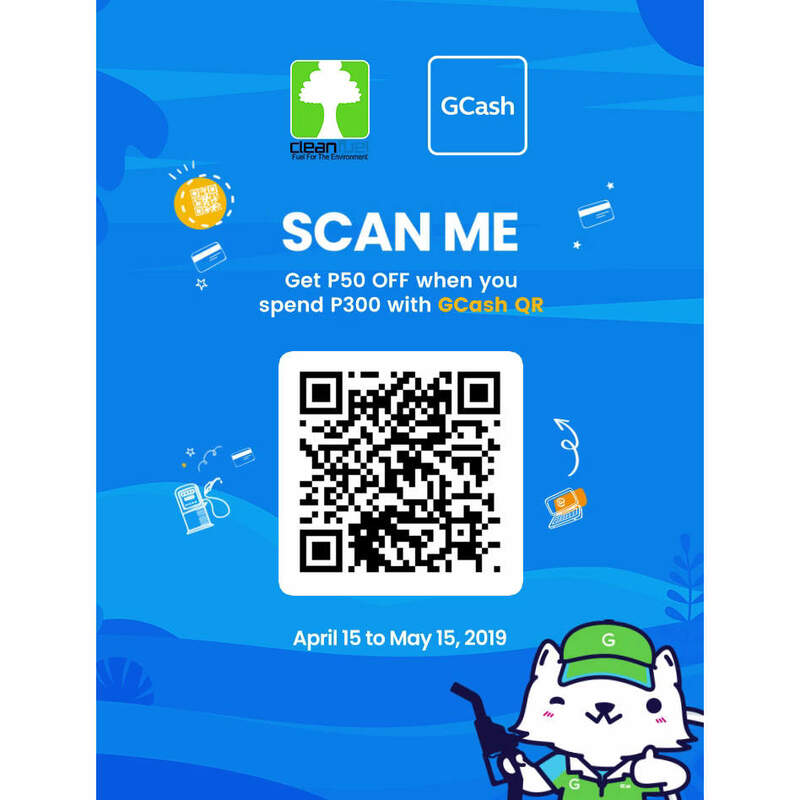 Enjoy P50 off for a minimum spend of P300 when you use the GCash – Cleanfuel Promo QR in Cleanfuel! 1. For GCash users, scan the promo QR at Cleanfuel Stations and get P50 voucher. Vouchers are valid from April 15-May 15, 2019 only. Vouchers may only be used at Cleanfuel Stations. 2. Promo is valid only from April 15-May 152019 (from 00:01 of April 15 until 23:59 of May 15). 3. Users may scan promo QR to get P50 voucher. 5. Available for use in all Cleanfuel Stations merchants only. 7. Voucher is limited only to the unique customer’s valid transaction (in a participating merchant) between April 1, 2019 to April 15, 2019. A unique customer is determined by GCash in accordance with the information submitted during GCash account registration and/or identity markers used by GCash against its entire GCash base. For example, a customer who uses multiple account(s) or SIM(s) will be treated as one unique customer.